Welsh metalheads Bullet For My Valentine have announced a UK winter tour for 2016 with one gig in Glasgow’s O2 Academy this November! The Welsh metal act Bullet For My Valentine will be coming to Glasgow with one night scheduled at Glasgow’s O2 Academy on the 20th of November 2016. It will be the only chance to see them live in Scotland this year. The acclaimed rock group will play just five arena shows across the UK in December 2013 with Manchester, Birmingham, London and Cardiff being the other cities chosen. The shows will be in support of their most recent album Venom. Set to be the band’s first UK no. 1 album, Venom, released in August 2015 was the bands fifth studio album. Unfortunately, the album peaked at no.3, which is nonetheless still a first for the band. Inspired by classic metal bands such as Metallica, Iron Maiden and Slayer, Bullet For My Valentine have been performing together since 1998 and have sold more than three million records worldwide. The success of albums such as The Poison, Scream Aim Fire and Fever earned the band a formidable reputation both in the UK and the US. 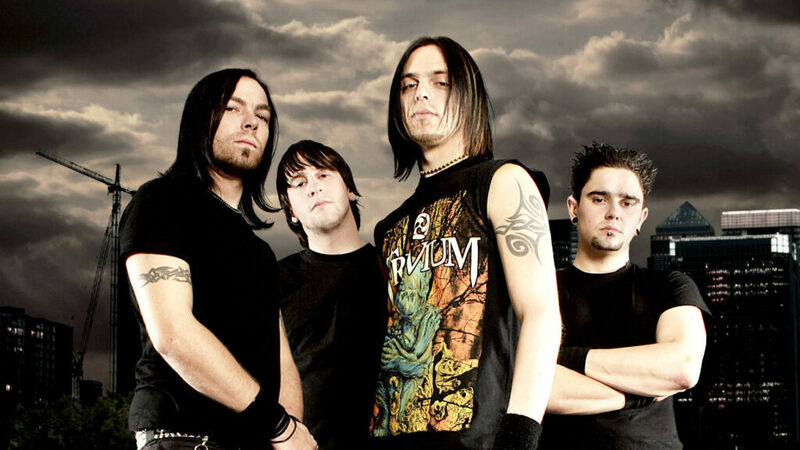 Bullet for My Valentine are from Bridgend in Wales and formed in 1998. The band is composed of Matthew Tuck, Michael Paget, Jason James and Michael Thomas.